The earth’s atmosphere has been keeping a sort of balance between its various constituents over the past billions of years. But the modern human activities such as large scale industrialization, rapid transport systems, changing life styles, and habits like smoking, burning of fossil fuels, and blind deforestation are upsetting the balance of atmosphere. 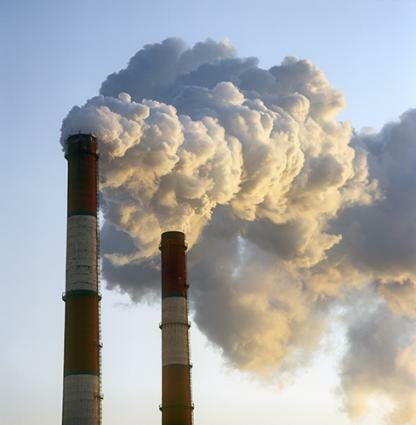 Burning of fuels like coal, wood, and oil produces black smoke causing pollution in the air. Smoke contains poisonous gases like carbon monoxide and sulphur dioxide which pollutes the atmosphere. The gas emitted by the engines of automobiles such as cars, buses, trucks, etc contain poisonous gases like carbon monoxide, nitrogen oxides, hydrocarbons, some lead compounds, and unburnt carbon particles which pollute the air. Motor vehicles are also a major cause of severe air pollution in big cities. The railway engines, ships, and airplanes also pollute the air. 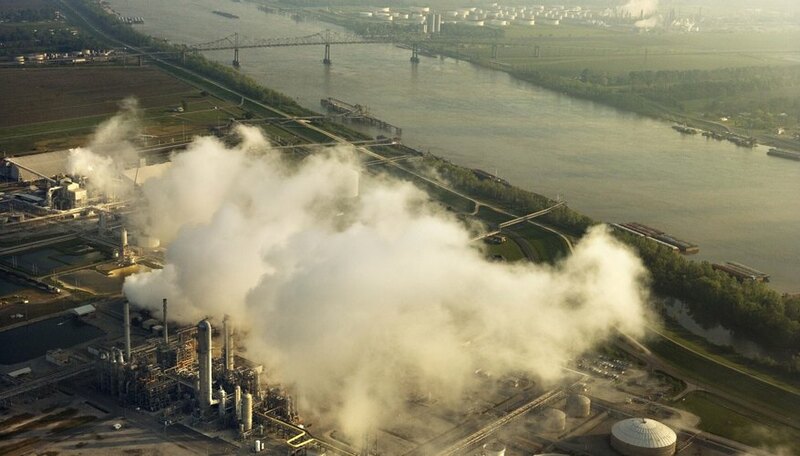 The chemical industries release several poisonous gases into the atmosphere which pollute air. Similarly industries engaged in the extraction of metals produce sulphur dioxide gas by roasting the sulphide ores of metals like iron, copper and zinc. This sulphur dioxide goes into the air and causes pollution. Smoking produces carbon monoxide and nicotine which are poisonous chemicals and pollute air. Dust produced by the heavy traffic and various industrial operations pollute air. The fossil fuels, coal, natural gas and petroleum are carbon compound and they produce carbon dioxide gas which goes into the atmosphere. The cultivation of soil releases large amount of carbon dioxide. It is estimated that carbon dioxide has already increased about 13 percent in the air. Further carbon monoxide produced by incomplete combustion of fossil fuels etc goes into the atmosphere. Deforestation is also a human activity which is dangerous. The green plants absorb excess carbon dioxide from the atmosphere for carrying out photosynthesis. New plants should be grown for this purpose. Another part of the atmosphere that humans have directly affected is the ozone layer which blocks ultraviolet radiations. The highly useful ozone layer in the upper atmosphere has been threatened by human activities. Previous Post How escalating pollution rate in India can be controlled? It really matter of concern, what we are giving to our young generation. Well explained, people should understand what they are doing to mother nature. I agree with you, I think it’s time to take strict action from government and people of India. I agree, Government need to work on that. But it’s only possible if corruption in politics get over. Corrupt politicians are main reasons for such issues. What you think? Yes Indeed. Some strict measures or some strict law only can help now.